Over a decade ago, I started my teaching career by teaching little girls from my church how to belly dance in my home. Over time, that expanded to include adults, teens, and girls as young as four. 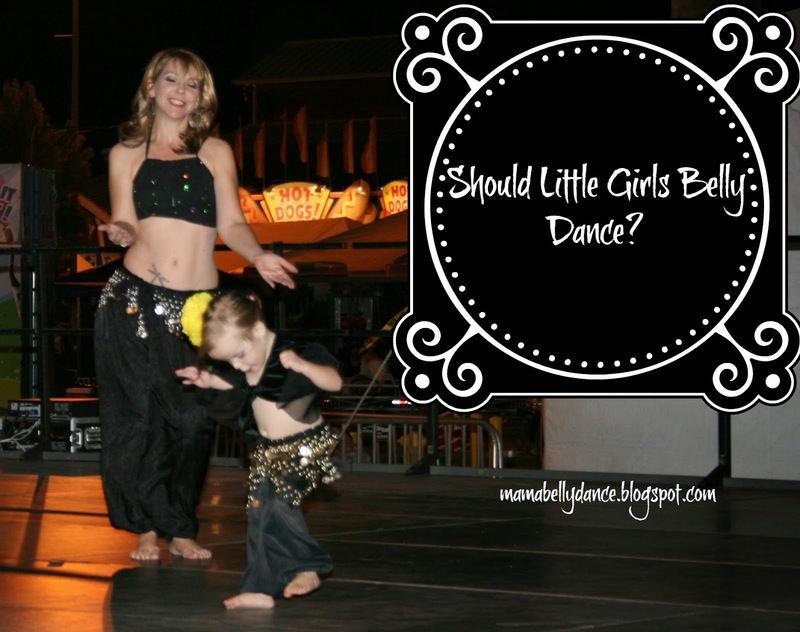 Throughout all my years belly dancing, and especially since I started teaching children, I have often come across, or been confronted with the question: should little girls be taught to belly dance? Now that I have my own four year old who loves to dance more than anything except Daddy, the question rings louder than ever. My answer has not changed, and quite simply, the answer is yes. See, what the subtext is is not whether little girls should dance, but whether little girls should dance like that. And no, I'm not suggesting we should heap the burden of educating the General Public on our little angels' heads. Rather, I'm suggesting we not worry about the GP and what they think about our children when We Know Better. We know for a fact that when girls participate in sports or dance, it contributes to a stronger self-esteem, giving them tools for a sense of achievement as well as developing habits for a healthy lifestyle. It teaches discipline. It provides peers to bond with. We have no problem starting them in ballet at 2, or tap at 4. 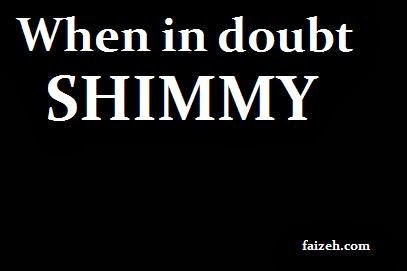 Why should we wait to teach them belly dance? Is it because some dancers overtly sexualize it? Well, guess what. Some dancers overtly sexualize every dance form. I will never understand why I can go to a community festival where local dance studios display their teens on stage writhing about, calling it jazz, or thrusting their hips in the name of hip hop, and nobody bats an eye, but as soon as my class shimmies on stage, bodies completely covered except their bellies, people start questioning the propriety of it. Here's the thing. If people want to remain in ignorance, they're going to. I'm not going to keep the immense number of benefits gained through belly dance from the little girls in my life. I'm going to teach them technique, cultural respect, performance, and help them see how beautiful they are just because they are beautiful. My first students are all young women now, and those who stayed in belly dance got through puberty much more easily than most of their non-belly dancing friends. Why on earth would I deny other girls, and my own daughter in particular, that wonderful experience just because some lady with big hairsprayed hair makes snide comments? If you know me, you know I believe that drills are very important. Even if you think you have a move down, it is still a good idea to drill it. I like to be able to let my muscle memory take over when I dance, so I can enjoy the music and dance. Here is the first of drills I'll be posting right here. Of course, make sure you're in good health, and warm up before you start your drills. The pre-edited photograph is by Jonathan Levy. The music in the video is Saidi Electro by Drew Warden. I've seen all kinds of posts and comments about tipping belly dancers. Some love getting tips, some think the venue should just pay enough, some just don't care one way or the other. Here are some of my somewhat random thoughts on tipping. First, it would be great if we got paid according to how much skill, expertise, education, effort, and love we put into our art form. Unfortunately, we don't. For many reasons, just about every art form is undervalued, and part of this is our own fault. Yet, this isn't to say we never do get paid according to these things. 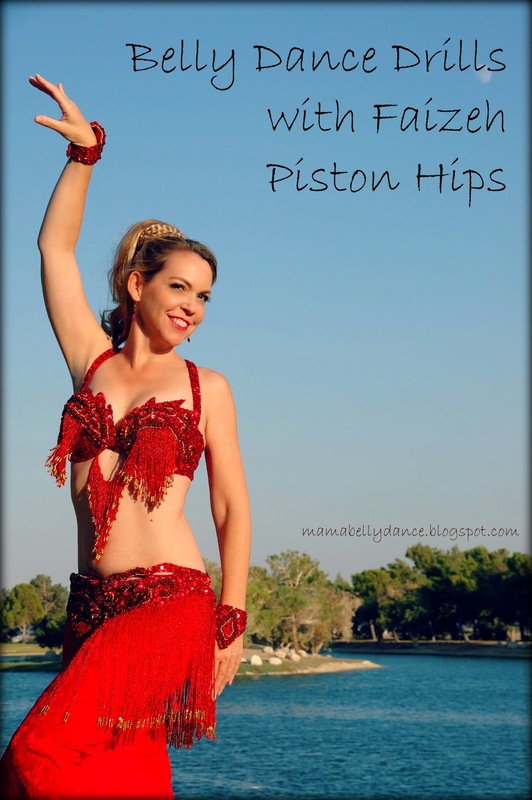 Are there not belly dancers you love and are willing to pay more to watch or to learn from? This is the result of their hard work, most often. Are there people that get gigs over better dancers? Yes, but my experience has told me those relationships are short-lived. A pretty girl in a skimpy costume isn't going to hold the attention of her audience the way an advanced dancer doing a 70's-style five part set will. So what does that have to do with tipping? 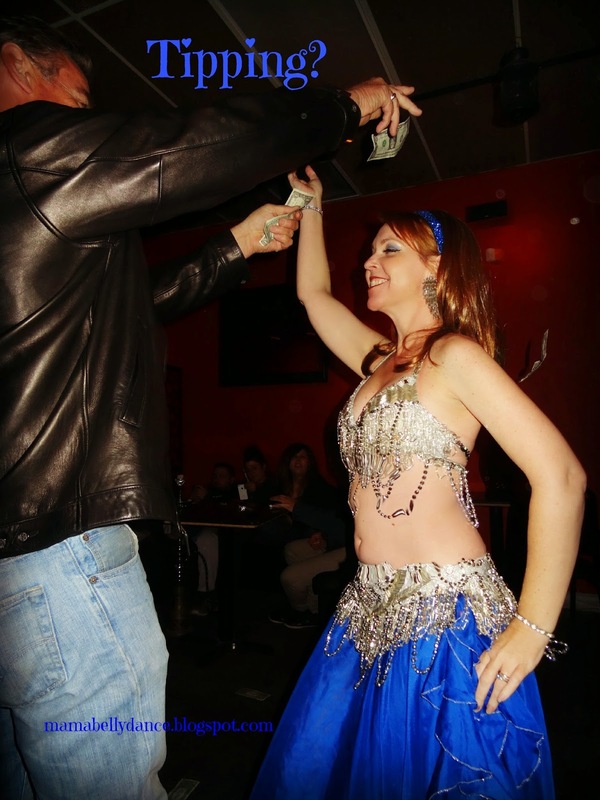 Well, if a dancer is getting tipped, and especially if her audience is one that is familiar with Middle Eastern tipping practices, she is going to inspire greater tips. Yes, sometimes the tippers are really just showing off how much money they have to rain upon a dancer, but more often than not, people giving tips are doing so for two reasons: they know the performer is dependant on the tips, and they are so greatly entertained, they want to express their gratitude for a skilled performance. Wouldn't you like to be the dancer who makes her tips out of the love and appreciation of her audience, and not the obligation? I would. 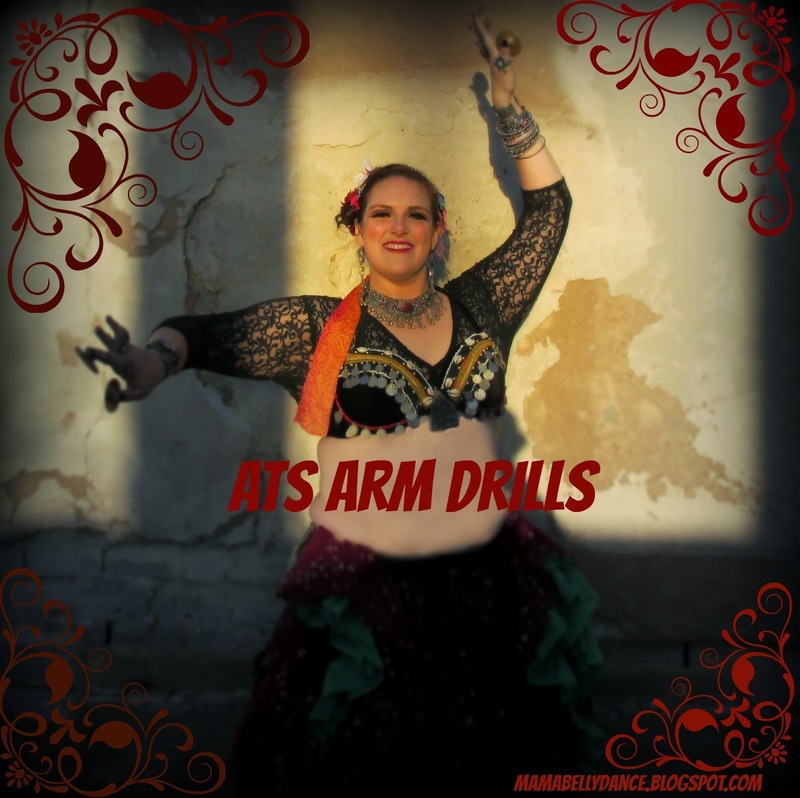 This leads to another practice in the belly dance community. Many showcases send around baskets, and then evenly divide the tips among all the dancers. This means that the dancer who didn't tell anyone she was performing and didn't practice at all is getting the same as the dancer who filled the venue. I do this, too, with the Belly Dancers of the Antelope Valley Showcase, because I have yet to find a better way, but it has always seemed very unfair to me. I know some dancers justify it by saying it's not fair for the dancers who didn't get anyone to the venue, but to me, that just begs the question, Why didn't anyone come to see her? I have had audiences who threw money at me for swishing around a pretty piece of fabric (also known as simple veil work), and who were completely unimpressed by things I had worked months on and finally nailed. I've had audiences jump up and shower me with cash because they were so moved by my performance, and I've had audiences stare at their hummus when I've poured my soul onto the stage. One time at a private party, the patriarch was literally getting a stack of cash out and standing up to dance with me, and the next song of the set came on, which he didn't like, and he sat down. He did not tip me. I've danced on top of so much cash, I was slipping around, I've been happy to make three dollars, and I've left with grocery bags filled with tips. It is not the obligation of your audience to give you money. It is your obligation to earn it. I suppose, for myself, in the end, I like having a base pay, and then I like receiving tips. It reminds me that I am there to show my audience how much I love them, not the other way around, and it is a tangible way to find out if I have accomplished that. Do you remember when you first saw belly dance? And I mean actual belly dance, not some Hollywoodization of it? Or perhaps you remember when you first started taking classes? In both instances, you knew that it was something special, and if you were anything like me, you couldn't get enough of it! And then maybe life got in the way, you got busy, your promotion at work meant less free time, you had kids, and somehow belly dance started to get squeezed out a little. Oh, you still take your weekly class, and never miss an opportunity to perform yourself, but you just don't have time to pay attention to other dancers. I hope you'll reconsider making it a priority. For some reason, in spite of how history has shown us how important any culture's art is, we have devalued it. I suspect it's because there isn't a lot of money in it, unless you happen to "make it big." Yet, WHY isn't there a lot of money in it? Because we have devalued it. If we as artists do not even bother to support each other, how can we expect anyone who doesn't understand how important art is to come around and start supporting it? Imagine if the General Public actually started going to belly dance productions, like they do concerts or comedy shows? Are they not equally entertaining? Imagine if the videos going viral are beautiful performances by belly dancers instead of teenagers getting hit in their junk? Wouldn't that give us all a little more hope for humanity? We have the power to make it happen, but we have to be willing to do it first. It is so easy to get into a rut with our style, our drills, and our costuming. Yet, if we watched other dancers, we might discover a new way of interpreting an old song, or simply be touched by the sinuous movements and decide then and there to do more floorwork. Not everyone can make regular trips to Egypt or Turkey, or live somewhere like the Bay Area, but that doesn't mean we don't have masters in our own area, and it definitely doesn't mean we can't find them on-line. Instead of watching that beginner with an eye exclusively for support, try watching him or her for something you haven't learned. Nobody- NOBODY- is beyond learning, and it doesn't always come from Big Names. Perhaps her hip drops are mushy, but look at how she feels the music and lets it flow through her! And if you already subscribe to Sadie's YouTube channel, try clicking on some of the videos that pop up as suggestions. You already know you love Sadie. Get inspired by someone new, and share it. Ok, so while Ii do encourage you to find something to learn from every performance, sometimes that lesson is to never, ever, ever do ____. One thing that I noticed a long time ago is that when a dancer clutches her sword, you immediately know it isn't sharp. Since then, I have always treated my sword like a weapon. I find it makes the performance much more engaging if I am under the impression that it is a dangerous object she is using to create a lovely dance. I recommend watching Marguerite, who really does use sharp swords. Whatever it is you notice, don't just be critical, remember to practice the opposite. It is still inspiration. One of the reasons I started trying to always post the music titles whenever I post videos is because almost invariably, someone posts in the comments asking what music it is. I get in horrible ruts with my music, and sometimes when you just listen to a song, it doesn't do anything for you. But watch someone bring that music to life through dance, and suddenly it's your favorite song! Oh, and don't be cheap. We would be lost without the talent of the musicians. Pay the buck to download the song. They have bills to pay. Have you ever had a gig and you were dancing for the sound guy and your mom? It hurts when you put so much time into your costume, picking out your music, and practicing, only to have nobody show up. Even if you're somebody who doesn't have to worry about that anymore, there was a time when you did have to convince your audience to show up. Next time you have a dead audience, or an absent one, ask yourself when the last time was that you went to a performance that you were there solely as an audience member. If it has been too long, you need to change that. Ultimately, by watching other belly dancers live and on YouTube, we help create more demand for belly dance. 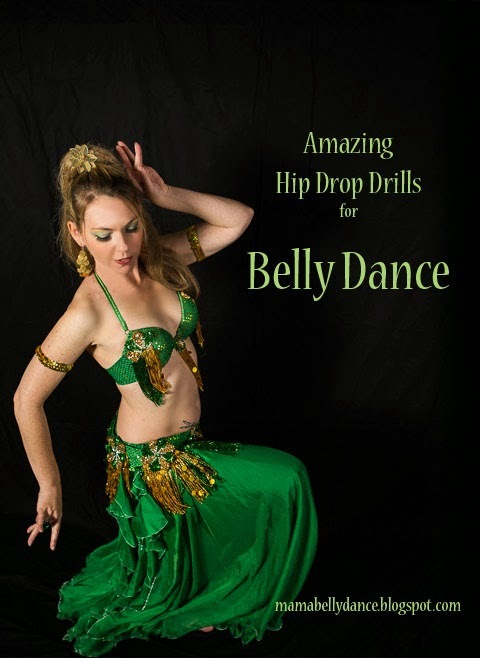 When there is more demand for belly dance, we get to dance more, and get paid better. When we get to dance more and get paid better, we help make the world a better place. And isn't that something we all want?